Which System Software Is Best for My Vintage Mac? 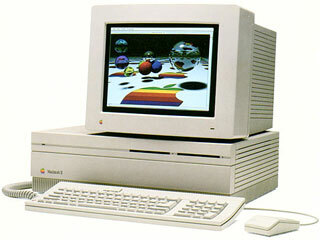 The choice of System software for a 68k Mac* is not so simple as deciding what software to run on a modern computer. While it’s very difficult to ignore the hum of newer, faster, better in the modern computing world, the vintage Mac user really has the option to choose. Every decision in vintage Mac computing has the luxury of foreknowledge. You can’t ever be taken by surprise at the introduction of a new killer feature or a crippling bug. That ultimate knowledge is one of the biggest strengths of retro computing. Once the project or job is known, the Classic Restorer gets to pick the cream of nearly 20 years of engineering crops . 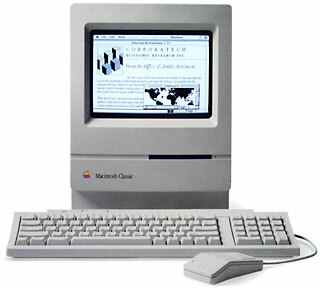 Due to Apple’s “never say die” attitude about the Mac OS during the late 1980s and early 1990s, many of the 68k Macs can run most System Software versions between System 6 and Mac OS 8.1. Which version is best on which hardware is ultimately a personal choice that depends upon the preference of the user, the user’s other computers, and the task the computer will perform. I will present the version that is best for each machine, based upon what I think the “average” user will require. If this isn’t the best for you, it should at least serve as a good starting place to determine your unique needs. What System Software Really Is Good for my 68k Mac? Usually, the advice sounds like this: “If your Mac has some N megabytes of RAM, then you need to use System version X.Y.z”. While it’s true that choosing too fat an OS for your machine will lead to discontent, this advice doesn’t tell the whole story. Vintage Mac RAM is as cheap now as it is ever going to be. Unless your Mac has hard-to-find RAM (say a Mac IIfx) or a small RAM configuration is part of your project (such as getting a 2 MB Mac Plus on the Web), there is no sense in punishing yourself with a crippled Mac with little RAM. While extreme upgrades have a “Gosh! Wow!” factor that can’t be beat, today’s moderate RAM upgrades are the high-end upgrades of yesteryear, and they can often be found at no or minimal cost. For example, the Quadra 800 can take up to four 72-pin SIMMs. Using only free, junk-pile 8 MB SIMMs, that machine can be upgraded to 40 MB (the Q800 has 8 MB on the motherboard as well), enough for most tasks. I’ll categorize the 68k lineup into five categories based upon maximum RAM: Antique Macs, 4 MB Macs, 10 MB Macs, Expandable Macs, and Hard-to-find-RAM Macs. These Macs all have 68000 processors and no built-in capability for RAM expansion. As such, their use for modern tasks is much more limited than their brethren. While I personally have limited experience using these models, whispers on the breeze (actually the 68kMLA forums) say that System 2.1 is good for the 128 KB Macintosh, and System 5.1 functions comfortably on the Fat Mac, 512Ke, and Macintosh ED. There are third-party RAM upgrades available on the collectors’ market, and the addition of these cards can bump these machines into the “4 MB Macs” category and increase the tasks they can handle dramatically. The Dove MacSnap upgrade comes to mind as an example of such an upgrade. Enterprising hackers have also upgraded the RAM in these machines by soldering new RAM chips in place, but this is not a task for the faint-of-heart. I recommend that these models all be upgraded to 4 MB of RAM for general use. A 2.5 MB Mac Plus is fun, but a 4 MB Plus is much more useful, and 1 MB 30-pin SIMMs are really, really cheap. Many of these models may not come with a hard drive, and for those floppy-only Macs I recommend System 6.0.8, because it is the latest system designed to be realistically useable in a floppy-only environment. For these Macs with a hard drive, I recommend System 7.0.1 for general use. For these computers it has much lower RAM and disk requirements than 7.1 or 7.5, and it supports most programs that require System 7. Your little Mac will be happier with the slim 7.0.1. These Macs have a RAM ceiling of 6-10 MB. Your Mac experience will be greatly enhanced if these models are upgraded to their greatest capacity before being put into service. For these machines, System 7.0.1 is still the best choice. If you have access to 7.1, they’ll do nicely with that, too. The older System 7.0.1 gets the nod over 7.1 despite the technical advantages of the newer version because 7.0.1 is freely available from Apple’s website. System 7.0.1 does everything most people would expect from these machines anyway – browse the Web, network with modern computers, and so on – with only a few gotchas. These Macs all have several 30-pin SIMM slots or at least one 72-pin slot and can thus be upgraded with lots of RAM very cheaply. These machines should be upgraded to at least 16 MB of RAM, and preferably to 32 MB or even more. For all these Macs with 16 MB of RAM, System 7.5.5 takes the cake. With updates it can connect to virtually all modern computers and run almost any 68k software out there. If you have a Mac OS 7.6 CD, that’s fine, but System 7.5.5 will be the best choice by far for most users. For these computers, the old advice of “Choose your Mac OS by looking at how much RAM you have right now” is true. While all of these computers have the power and speed to run System 7.5.5 or even Mac OS 8.1 comfortably, they might not have made their way to you with enough RAM for that. If you can realistically upgrade the RAM to at least 16 MB, you really should. Otherwise, they are still wonderful Macs. When these systems are stranded below about 16 MB of RAM, you’ll be more concerned with picking a System small enough to leave room for real applications. In that case, System 7.0.1 is the best bet. 7.1 might be better in some ways, but 7.0.1 is available freely and legally. If you’re lucky enough to have one of these specimens with 16 MB or more RAM, the door is open. System 7.5.5 is the best choice for most users who have a moderately fast 68030 and at least 16 MB of RAM. 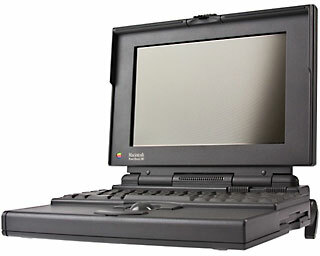 * 68k Macs are those using any of the Motorola 680×0 family of CPUs. System 6 Heaven. The best resource for users considering System 6. 68k Mac Knowledge @ fen dot net. My personal Macintosh homepage features articles about installing and configuring a very up-to-date System 7.5.5 and 7.0.1. Installing OS 8 & OS 8.1 on 68030 Macs, Gamba’s home page. Detailed installation instructions for getting Mac OS 8.1 on otherwise unsupported 68030-based Macs. Low End Mac’s Computer Profiles. Low End Mac’s profiles shows which System software versions are capable of running on which Macs and how much memory these old machines can handle.